It’s Time to VOTE for Your Favorite Local Charity! We are very excited to kick off our second annual 100th Home Sale Giveaway! We want to do our part in giving back to the amazing community that we love by donating $10,000 of the commission from our 100th sale of the year. Click below to vote for your favorite, you an vote once a day. Animal Rescue Foundation of Louisiana’s (ARF-LA) mission is to provide care, shelter and medical attention for stray, abandoned and unwanted dogs, and then place them in loving homes through our adoption process. ARF-LA’s funding is derived through fundraisers, donations, and adoption fees. It is a costly and labor-intensive endeavor, but the emotional satisfaction of seeing life change not only for a dog, but also for a family, a widow, a widower, or a single parent with children is VERY rewarding. Healing House serves children ages 4-17 and their families who have experienced the death of a parent, primary caregiver, or sibling. For these children and their families, Healing House is a safe place where they are allowed to express their thoughts and feelings in a variety of ways. Healing House is not a sad place. Many sad stories are shared here, yet the environment is one of healing, support, comfort, and friendship. 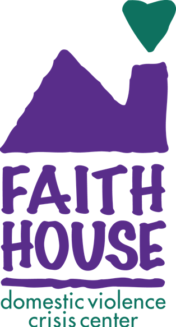 All services provided by Healing House are provided free of charge to the families is Acadiana. 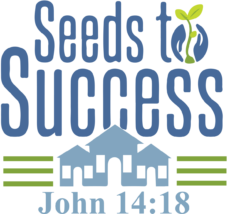 Seeds to Success is a non-profit organization dedicated to giving children who age out of the foster system life skills and a safe place to call home while they continue to mature. The organization will provide small cottages and teach kids about nutrition, finances, hygiene, and other life skills to help them succeed. The cottages will be located on a self sustaining farm that the kids will work on and use to help sustain the program. These children will not be left alone and will live next door to Chere and Troy who will act as mentors and help to give them the support and encouragement they need during this critical time in their lives. There are countless volunteers and many plans to supplement this initial plan that will give the children access to trade skills and other practical life lessons. Life is certainly not all black and white. SIDS is a very grey area. To carry on the precious spirit of our sweet Greyson, we have created a non-profit foundation – The Grey Effect. The intentions of his foundation are to spread awareness regarding SIDS while hopefully preventing other families from enduring the pain of losing a baby to SIDS. Through The Grey Effect, it is our hope to raise enough money to purchse Owlet Baby Care Monitors for new moms and dads before they leave the hospital. The Owlet Company has agreed to match our donations by giving a free monitor for every one that The Grey Effect Foundation purchases. Once we close on our 100th home of the year we will give a final notice to vote. The donation amounts are split between all five nonprofits based on vote percentages. So, make sure you VOTE! Have you been thinking of buying or selling? 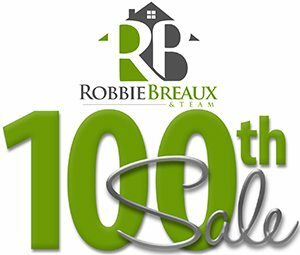 You could be our 100th home sale! Call us for details at 337-267-4099 or email [email protected].